During the EFTTEX gala dinner, which took place Friday June 17th in Amsterdam, the annual EFTTEX Award winners were revealed. It’s one of the most anticipated event at EFTTEX as it represents a chance for companies to have their product development endeavors recognized by the global industry. This year, Deeper is proud to be nominated as The Best New Accessory of 2016. The European Fishing Tackle Trade Exhibition (EFTTEX) is the premier trade show for the industry. EFTTEX is a perfect place to meet new, emerging companies, but it also attracts a number of the most well-known names in the industry. 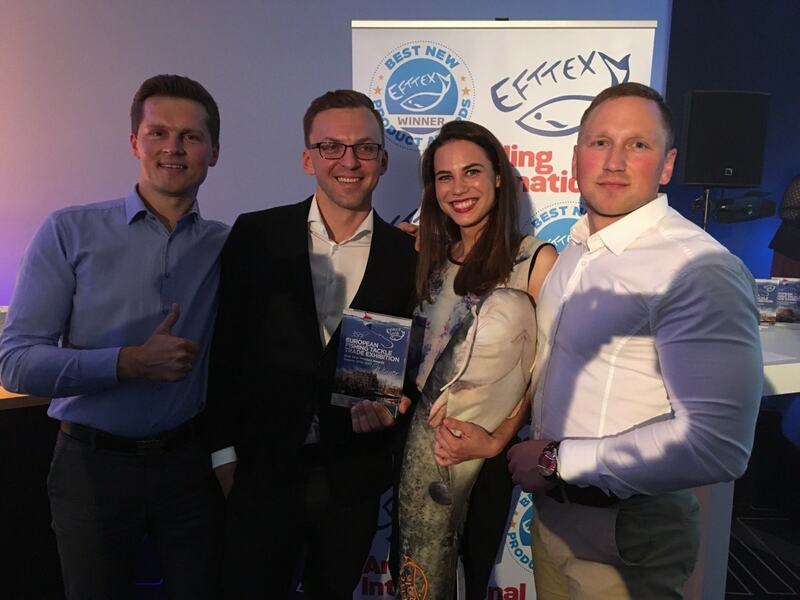 “We are committed to innovation and forward-thinking and The Best New Accessory Award is one more proof that innovative technology is one of the most important things for the customers and for the whole fishing market” says Rolandas Sereika, CMO at Deeper, UAB. Deeper Smart Sonar PRO+ uses Wi-Fi connection which secures a distance between Deeper echo sounder and the device holder up to 330ft/100 m and ensures more accurate data transfer. The outstanding Onshore GPS Mode enables to create professional bathymetric maps. Doubled scanning frequency allows to capture faster moving objects, whereas 8 times extended dynamic range enables more accurate detection of underwater units. Extended Deeper App features include Day/Night Screen Color Mode and enables to choose sonar sensitivity depending on water conditions. After the successful show in Amsterdam, Deeper team is preparing for the largest trade show in the United States – ICAST 2016. It will be held @Orange County Convention Center, Orlando this July and also for the Outdoor Retailer Summer Market in Salt Lake City, on the 3rd of August.